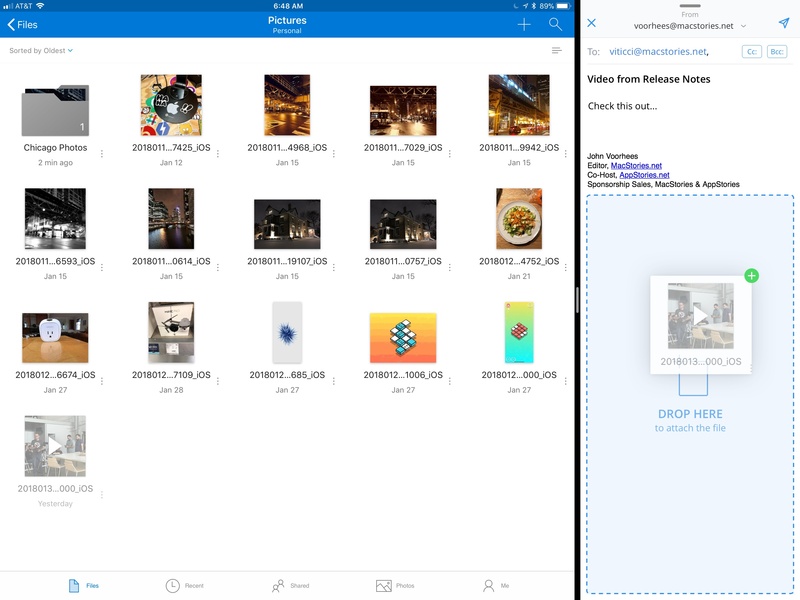 Microsoft has released version 10.1 of its OneDrive app with support for drag and drop on the iPad and a new, cleaner design. Drag and drop support allows users to move files and folders within the OneDrive app or drag files into and out of other apps. 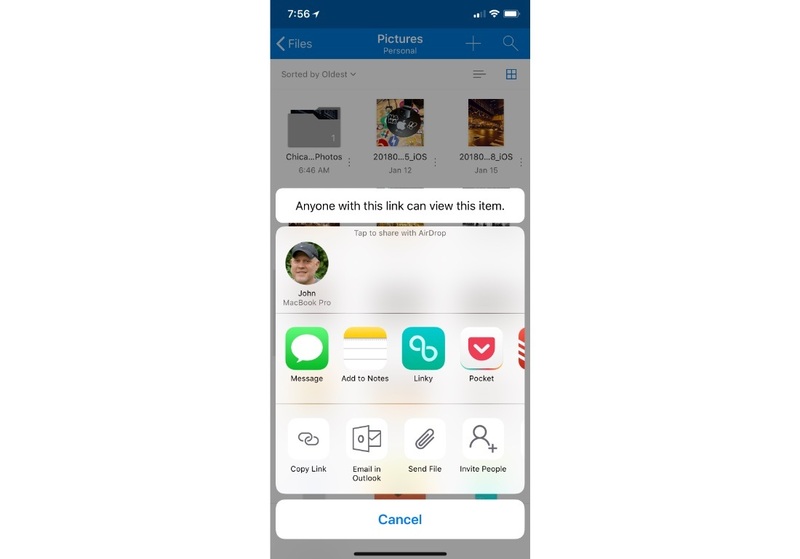 For example, users can drag photos from OneDrive into an email message to add as an attachment or drag attachments from messages into OneDrive. 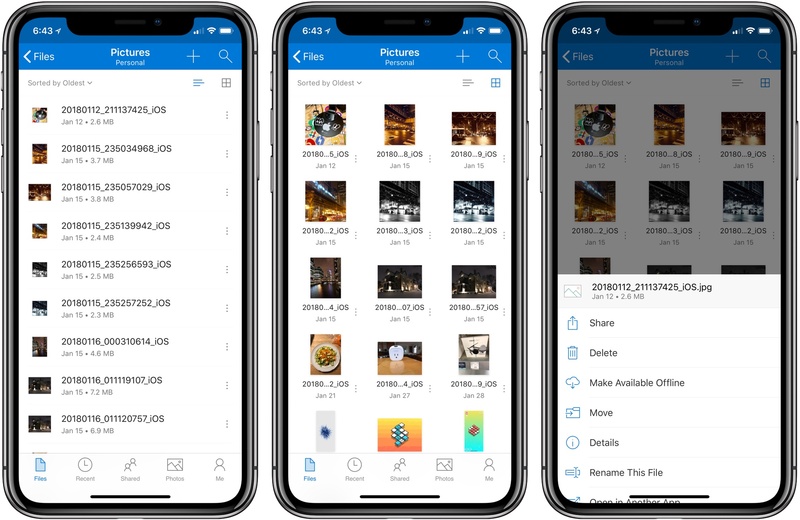 Users can also access their OneDrive files from Apple’s Files app. OneDrive now supports drag and drop on the iPad. OneDrive also received a significant UI redesign. File names are easier to read on all devices, the organization more closely mirrors what users expect to see on a Mac or PC, and the icons of shared files have been updated to make them easier to identify at a glance. Before the update, file and folder actions required users to tap and hold on an item, which created discoverability issues. Now, there is a tiny three-dot button next to each file and folder that opens a contextual menu with options like ‘Share,’ ‘Delete,’ ‘Make Available Offline,’ ‘Move,’ and more. Additional file and folder actions, including ‘Copy Link,’ ‘Email in Outlook,’ ‘Send File,’ and ‘Invite People,’ are available via the system share sheet. OneDrive can now preview 130 different file types too. Additional file and folder actions are available via the share sheet. It’s unfortunate that it’s taken so long for OneDrive to adopt iOS 11 features like drag and drop. Still, the update is a significant improvement over previous versions and brings the app’s functionality in line with many of its competitors, which makes it worth another look if you have been thinking about switching online storage providers.